Robert Forczyk's "Tank Warfare on the Eastern Front 1941-1942: Schwerpunkt" Kindle edition only $1.99 on Amazon. Don't mind if I do. 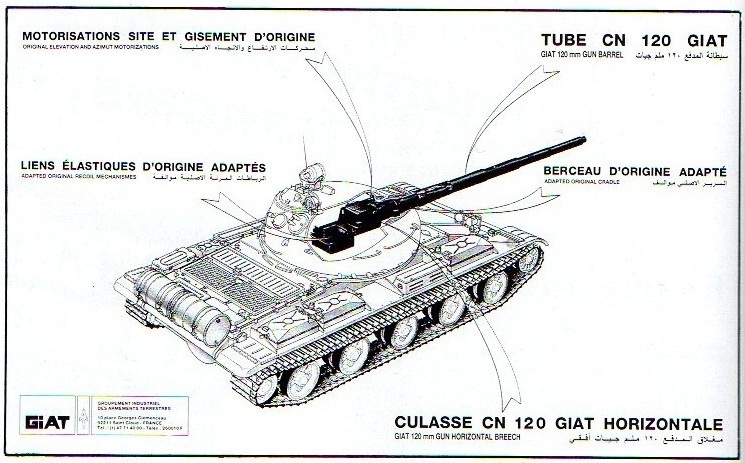 French upgrade for T-62, offered to Egypt in 1988. 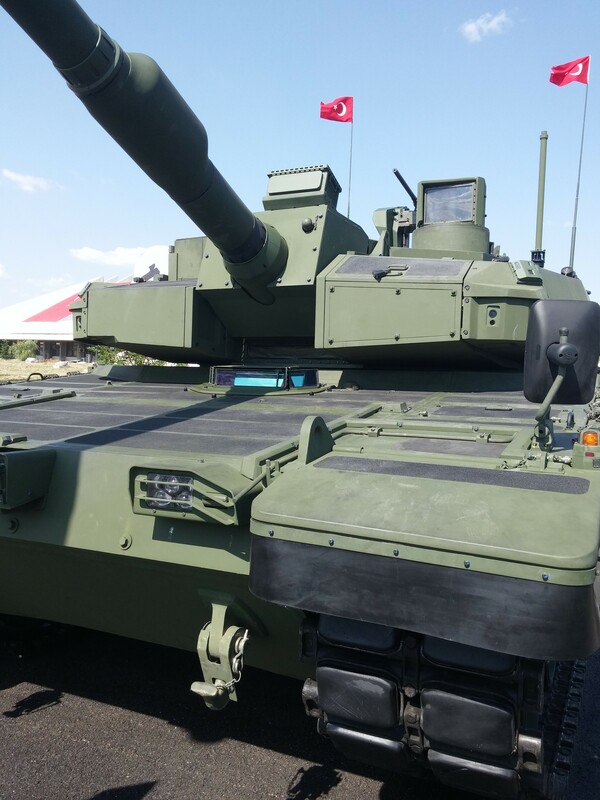 120 mm GIAT gun was main part of upgrade. Also, are those sides small plates armor or armor mounting points? It seems that driver have problem with leaving vehicle because of mantlet. Last I heard it has hydropneumatic suspension. It's lifted by the tears of the Korean export market. AFAIK you can get in and out of Soviet MBTs with gun facing direct forward, because of space available (gun barrel don't completely block exit path). 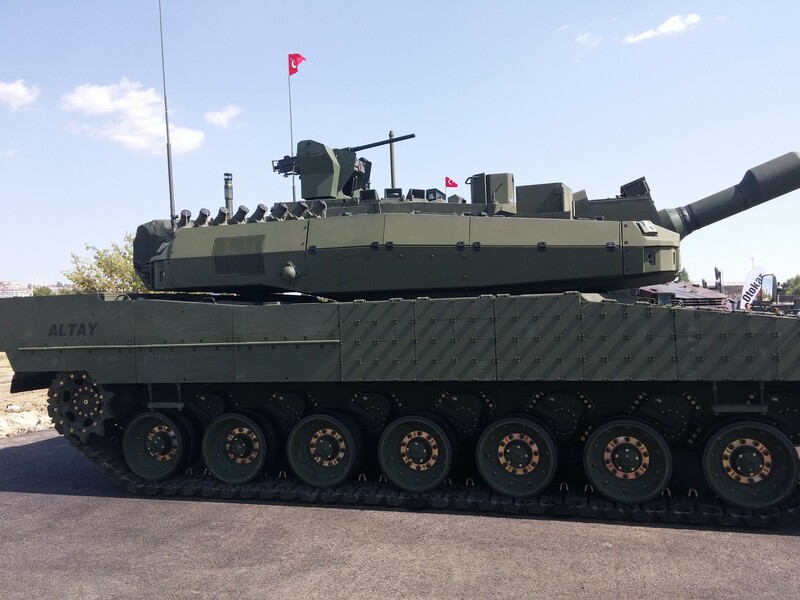 In case of Altay a big blocky mantlet seems to totally block exit way for a driver. One of the complaints about the protection on the later Soviet tanks was the weak area around the gun. Putting a big, extended mantlet would solve that problem, but at the expense of the driver! 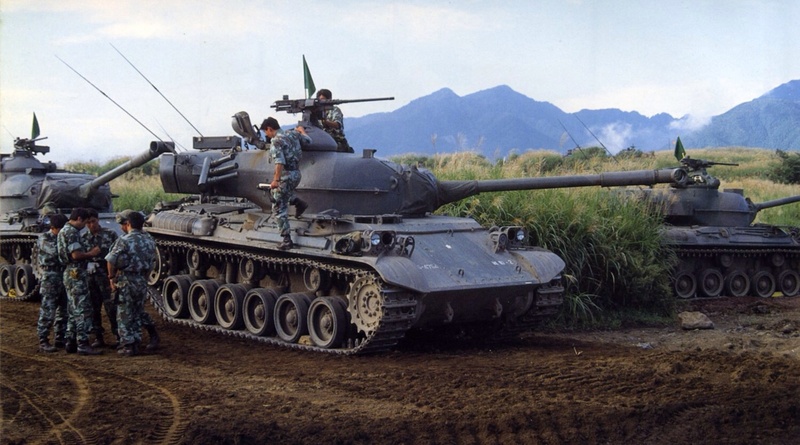 I suppose they could put the driver off to the side, like in a Leo 2, but I suspect it's hard to protect the driver adequately when they're offset like that. Merks and Leclercs managed to do that, in serial vehicles. 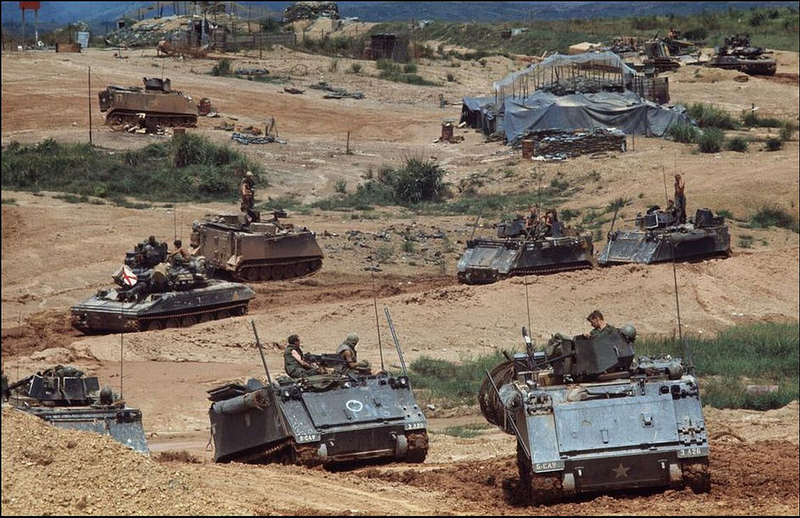 In fact, drivers that are located closer to sides are outside of aiming point, and outside of most probable location of enemy fire hits (frontal). Yes, but the driver's protection from attack on their side is much lower. 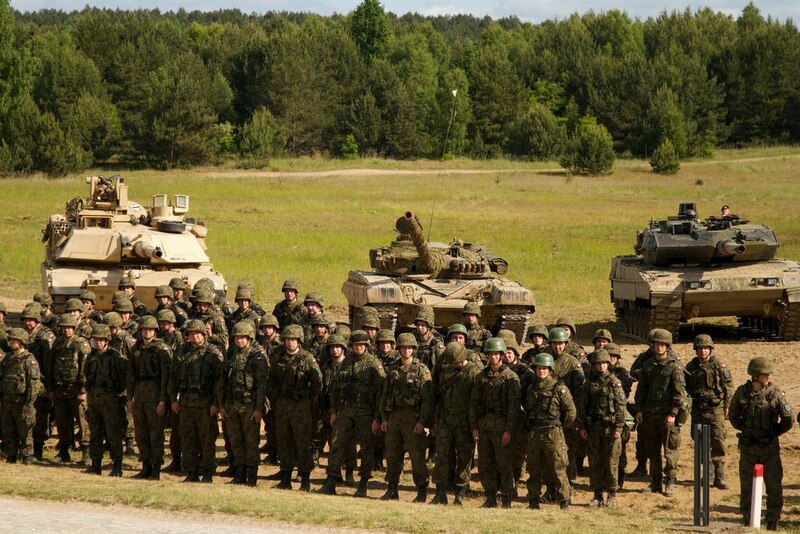 Modern armor is just too bulky; you can't put a reasonable amount of it on the sides without making the tank too wide. Also, much of the area that would need to be protected is filled up with track. Given the lower probability of hitting the hull in the first place, this is perhaps acceptable. T-14 have serious protection from the side. Crew capsule is fairly well protected from sides, above and below. Another example are Object 490A Rebel, 477 Molot. BTW, I don't think that Merkava drivers are covered with less armour from their side that from other (at least in Merk 3BdD and 4). True, there is clearly armor on the side hull under the tracks. However, for a given type of armor, protection will be a function of thickness. Which is a greater thickness, the distance from the driver's position to the near side of the hull when they are offset, or the driver's position to the sides of the hull when they are centerline? Also, the vast majority of modern armor types have less protection per unit thickness than does RHA. They are just much, much lighter than solid steel. There are a few things that provide better protection per inch than RHA, like steel laminates, but their protection is rather modest (50% better than RHA or so). 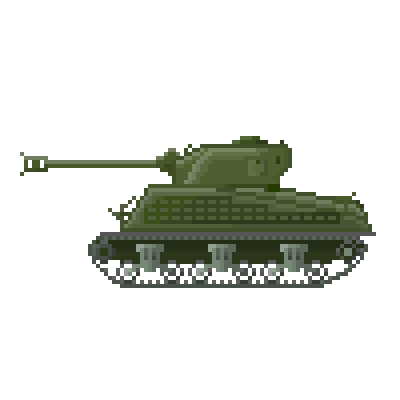 So, you are more limited by geometry in how much you can protect something in a tank than by anything else. The hull receives fewer hits than the turret, and the sides fewer hits than the front, so moving the crew down into the hull like in T-14 may be an improvement on average, but it is not without compromises. Of course there are costs for each layout. In Soviet MBTs driver position is rather not very good - his hatch and periscopes create a weakspot right in the middle of frontal projection, while protection from sides is no better than if he was located differently in frontal hull. 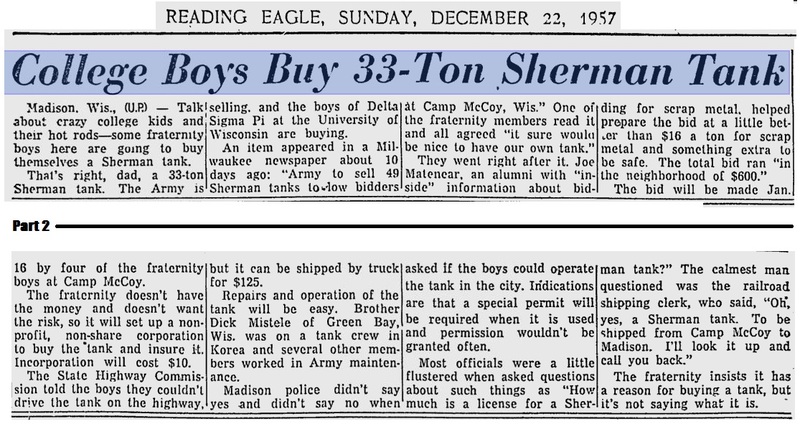 Just consider how much better "Animal House" would have been if they had incorporated this into the plot line. Instead, they had to use Flounder's (brother's) car. It looks like a baby M47, until your eye starts trying to locate the rangefinder, make sense of the tumor, and then you notice the drive sprocket location. The FRG version of the MBT-70 (that is, the less silly one) shows off its ability to take hull-down positions. Adjustable tilt suspension seems like a reasonable way to get enough gun depression to take good defilade positions without making the turret taller and heavier. Don't you just transfer the height into the hull instead? 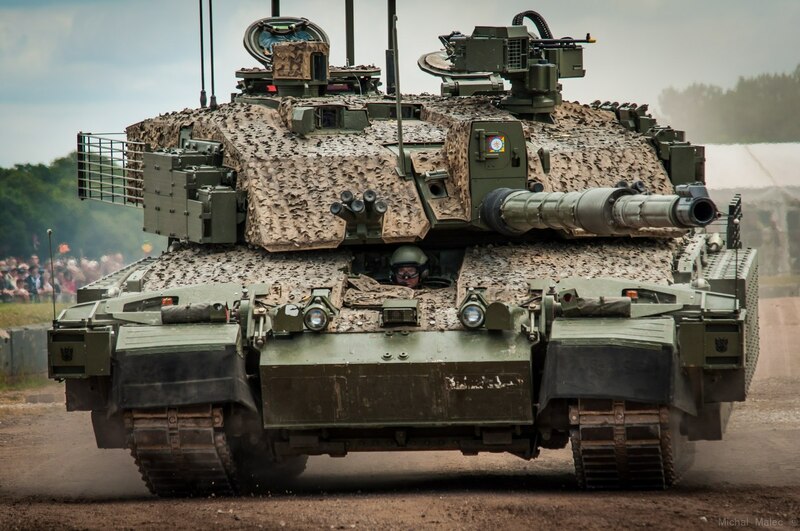 On chieftain there's a hole in the turret basket, so when the gun's depressed right over the drivers hatch then they can climb into the turret. 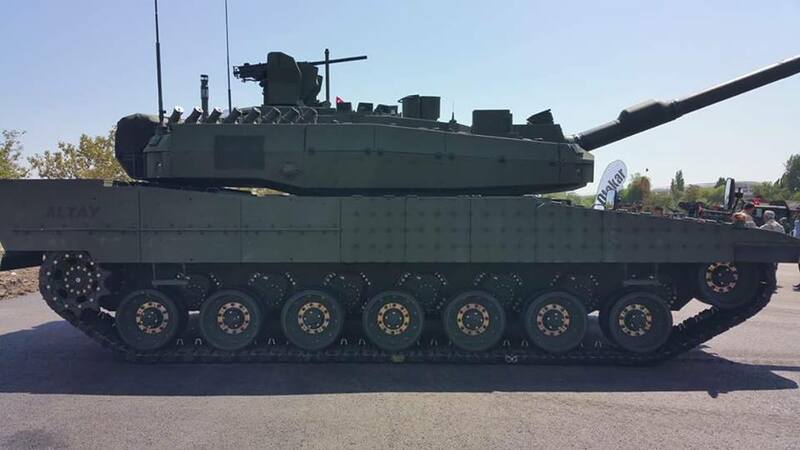 If the gun is elevated then the breech is in the way, but they can use the hatch then instead - I'm sure there's some means for them to get into the turret on altay as well. Was discussing this with Colli on TS to discuss whether or not this is heresy, he declared it Halal so, that being that. 35x228mm HEI-T and APFSDS-T vs 50x330mm Supershot HEI-T and uncut case, Note the identical width in the case and identical rims and even the primers are the same (the 35x228mm casing is 50mm in diameter, hence the not so shocking caliber of the supershot) and that it's the same overall length, this makes them quick changeable with very minor changes to the gun that can be done in the field. 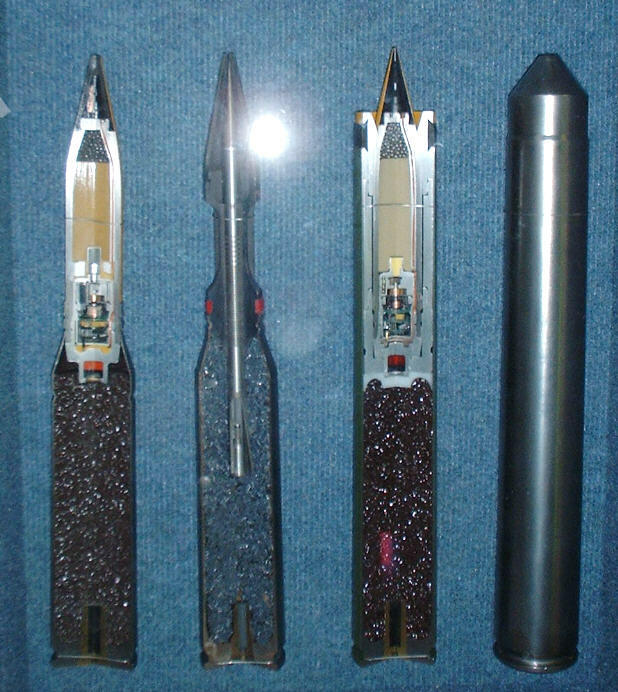 And a computer image of both with an APFSDS-T round loaded. Supposedly they hit like a ten ton hammer, with penetration figures at 230mm RHA at 1000m, compared to the 40mm CTA's 180mm. 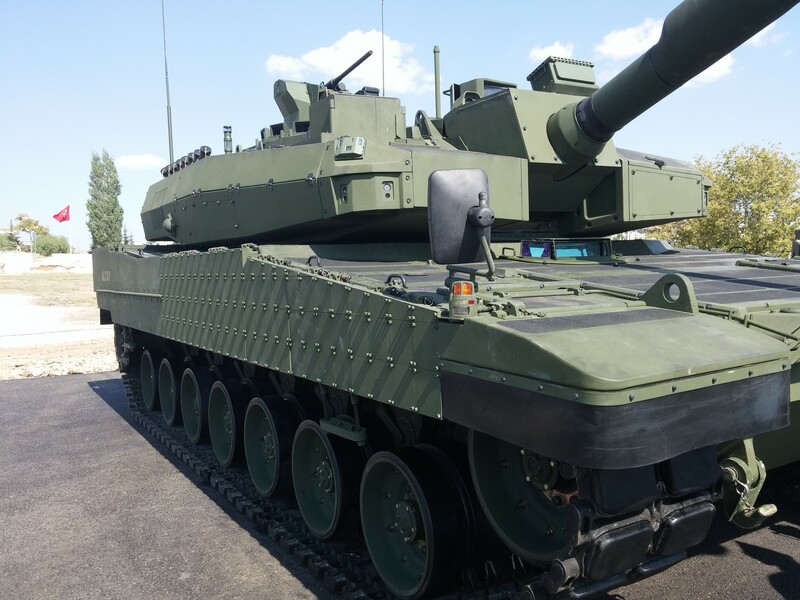 Renk made a powerpack for T-72/90 tanks. I am not familiar with that engine. I looked it up, the stats on it seem pretty impressive. 125hp per cylinder is very good. 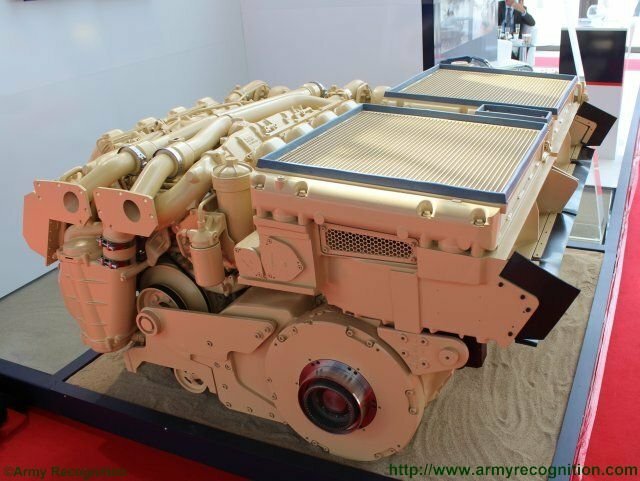 I heard a rumor that L3 is going to make an 8 cylinder version of the old AVDS-1790 and shoot for 1000HP out of it. That will be interesting.